$50 OFF WHEN YOU SPEND $495 OR MORE ON FASHION JEWELRY - Use coupon code "50off"
Finding affordable jewelry can be difficult, that's why we have hand selected the best for our gift collection keeping your wallet in mind. Browse our collection of unique and stylish earrings, necklaces, and rings for your beloved. Perfect for any occasion... or no occasion. It can be stressful trying to find the perfect gift for her. With the multitude of unique gift options at Icing On The Ring, you will surely find affordable jewelry that she will treasure for years and years. 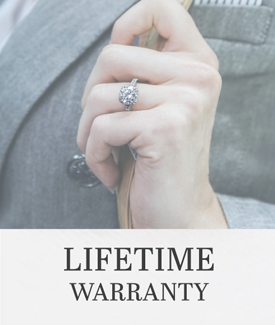 For significant life milestones, what could show your love and appreciation for her better than a stunning pair of earrings or a subtle necklace? Tacori’s colorful fashion jewelry will effortlessly tell the world just how fun and vibrant your beloved is. If you’re unsure as to which colorful stone she would prefer, a set of amethyst earrings will go with anything from her everyday wardrobe to special occasion ensembles. These $250 and under gifts make it easy to shower her in affection. Cushion cut Sky Blue Topaz gemstones are bezel set in delicate silver with beautiful milgrain and crescent details.